Peru's National Laws Relating to Disability | Global Disability RightsNow! These laws were passed in Peru between 2002 and 2012. They are provided in Spanish, and English where available. The language of the document is indicated in the file name. The broadest and most up-to-date disability law in Peru is the 2012 Update to the General Law on Persons with Disabilities (Law 29973). The 2012 national law is widely considered one of the best international examples of disability legislation specifically aligned with the CRPD (Convention on the Rights of Persons with Disabilities). In 2018, RightsNow! 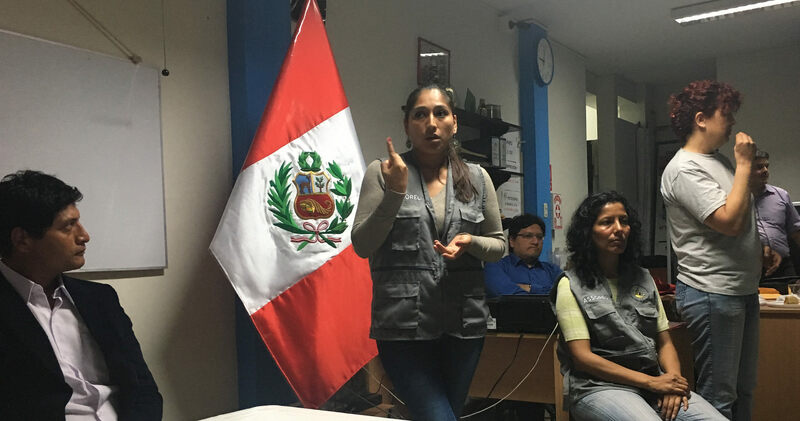 in-country partner CODIP (Blind Women’s Commission of Peru) provided a “simple language” translation of the Peru General Law on Persons with Disabilities (Ley 29973) in Peruvian Sign Language. This series of 13 videos is available in Peruvian Sign Language, audio (Spanish), and subtitles (Spanish). View the simplified video translations in the Media section of our website or on YouTube. These videos are courtesy of the Peruvian organization CODIP. Learn more about CODIP here.